Schembechler then named assistant coach Steve Fisher to be the interim head coach. Michigan’s team had lots of talent, but underachieved with the aggressive, in-your-face style of Freider. By contrast, Fisher constantly encouraged his players from the beginning, often clapping his hands, giving a thumbs up or a pat on the back to a player, even after a poor shot or a turnover. The Wolverines won their first game in the tournament, and another and then two more. Then Fisher, who hails from Herrin, Ill., guided his team past Illinois, which had twice beaten Michigan soundly during the Big 10 season. 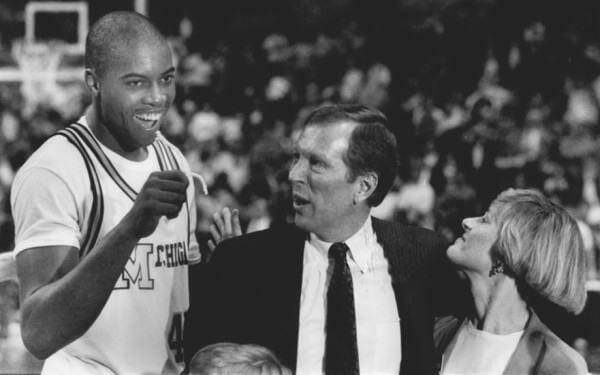 Two days later, Michigan won the national championship against Seton Hall. 1 Thessalonians 2:11 indicates that Paul and Silas encouraged the Thessalonians “as a father does his own children.” Perhaps Fisher’s encouragement to his players was the same. Do you give encouragement when you have the opportunity? I’ve been at both ends, and can honestly say it makes a big difference. Never underestimate the power of a kind word, a hug, or a pat on the back.